She is three years old. He is 17. 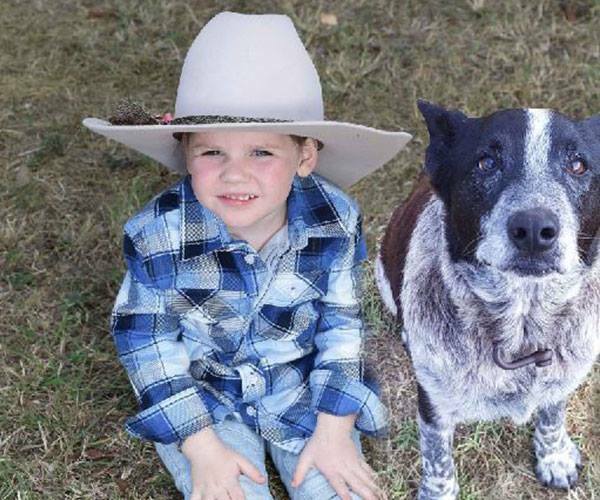 I describe how an Australian Cattle dog hero protects a lost child for 15 hours, Down Under, in Queensland’s inhospitable bush country. The incident occurred in April 2018 and it could well have ended in tragedy. Fortunately, though, Max was little Aurora’s protector and stayed with her throughout the ordeal after she wandered off that afternoon. Aurora was first reported missing at 3pm, and wasn’t found until 8am the next morning. Most likely she had snuggled up next to her faithful, four-legged friend during a rainy night outdoors. The initial searches conducted by Aurora’s family and others were not successful but the next morning more than 100 State Emergency Service volunteers, police and members of the public were participating in the operation. Then everything changed. Aurora’s grandmother, Leisa Bennett, heard the little girl calling out from the top of a rugged, elevated piece of ground and rushed there as fast as she could. When she got closer she saw Max who then led her straight to her grand-daughter who, miraculously, had only suffered minor cuts and abrasions. Because of his heroic act, Australia’s Queensland police department decided to give Max the title of Honorary Police Dog. And, what he did is even more amazing when you learn that he is actually a special needs canine. He is completely deaf and has only partial eye sight! Bravo, Max! You are a true dog hero and an exemplary representative of your breed. In case you are not familiar with this breed, I thought I’d add this to Max’s story. 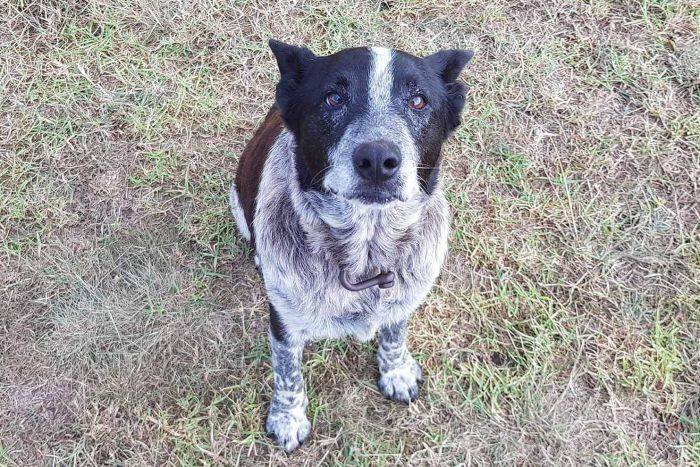 Also known as Heeler, Blue Heeler, or Red Heeler, depending on the coloring of their coat, Max, the Australian Cattle Dog hero in this story, is a Blue Heeler. The breed came about in the latter half of the 19th century in Australia to combine stamina, agility and intelligence so it could assist stockmen in their work. It was admitted to the American Kennel Club in 1980. Heelers are medium-sized, muscular and athletic as well as intensely loyal and protective. Some “owners” even call them velcro dogs, because they like to follow their human everywhere they go. In our latest Pet Hero story, we highlight the work of dogs trained to detect spiked cigarettes. And, in the U.K., many of these wonderful dogs are Spaniels. The supply and demand for cheap, illicit and extremely harmful tobacco products has reached a new high across the pond. However, despite the challenges that law enforcement faces to apprehend the culprits, their job is now a whole lot easier. And these sweet-natured canine heroes have made this possible. Spaniels, both purebred and crossbred, are being used to detect spiked cigarettes and loose tobacco. In addition, they sniff out legitimate merchandise that is smuggled into the country. These sniffer dogs are sometimes equipped with bodycams that document their work. As a result, the footage can be released for public viewing to heighten awareness of the health dangers from smoking tainted tobacco. In recent months, police conducted a raid at a hair salon in the heart of London’s West End. The dogs discovered nearly 30,000 fake cigarettes hidden in suitcases inside Lego toys and laptop cases. I read recently about another seizure in the East Midlands county of Northamptonshire that had taken place a few years back. To my delight, the article mentioned the two dog heroes. Their names are Scamp, a Springer Spaniel, and Phoebe, a Sprocker Spaniel, which is a cross between a Springer and a Cocker! Products such as these are not only cheaper than genuine ones and can reach more consumers, especially juveniles, they are dangerously toxic. Analyses show that they often contain elevated levels of cancer-causing chemicals, such as nicotine, tar, lead, cadmium and arsenic. Even more shocking, lab technicians have also found stuff as gross as rat droppings and camel excrement. And, let’s not forget that these dogs and their handlers also help out in another way. After all, they prevent the loss of government revenue in the form of duty and sales tax when non-counterfeit products are smuggled in. 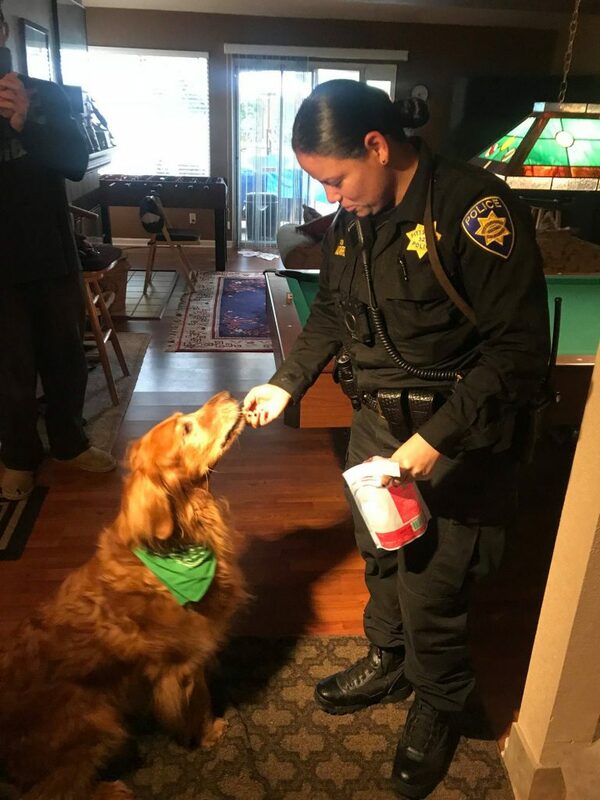 When detector dogs sniff out spiked cigarettes they are saving lives.This is yet another example of what happens when humans and animals work as a team. Truly great things happen. Yes. You read it right! This is our first story to feature a feline, and the headline says, “cat hero attacks dog attacking boy”. Actually, it’s pretty amazing. So amazing, in fact, that Tara became an internet sensation. This is all because footage from the home surveillance video captured the entire incident. And two days later it was seen by viewers across the globe. Most noteworthy is the fact that it became the first video in YouTube history to reach 20 million views in five days. The story with a mostly happy ending started off like this. On May 13, 2014, in Bakersfield, CA, four-year old Jeremy Triantafilo was happily riding his bike in the driveway of his home. All of a sudden, a neighbor’s dog (a Labrador/Chow Chow mix) ran up from behind, bit him in the leg and started pulling him backwards. Tara, the indoor/outdoor tabby cat that the family adopted six years earlier, heard the commotion and raced into action. 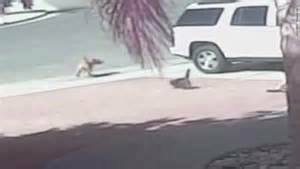 The protective kitty ran towards the much larger canine at full speed and body slammed it. Jeremy’s mother immediately rushed outside to the rescue but was also bitten. That’s before valiant Tara chased the aggressive dog away. Unfortunately, little Jeremy needed 10 stitches to his left calf. Nevertheless, in spite of his injury, the youngster was ready for a different kind of adventure. Fortunately for him, a couple of days later he felt well enough to join Tara and his parents on national television, on The Today Show. This feisty feline, who is typically just as sweet as can be, has won several awards for her bravery. In addition, she became the first non-human to be named Grand Marshal for Bakersfield’s Christmas parade in 2014. Then later, on January 1st, 2018, Tara and her family rode in the Rose Parade on the Lucy Pet Foundation Paws for Life float honoring several other heroic animals. 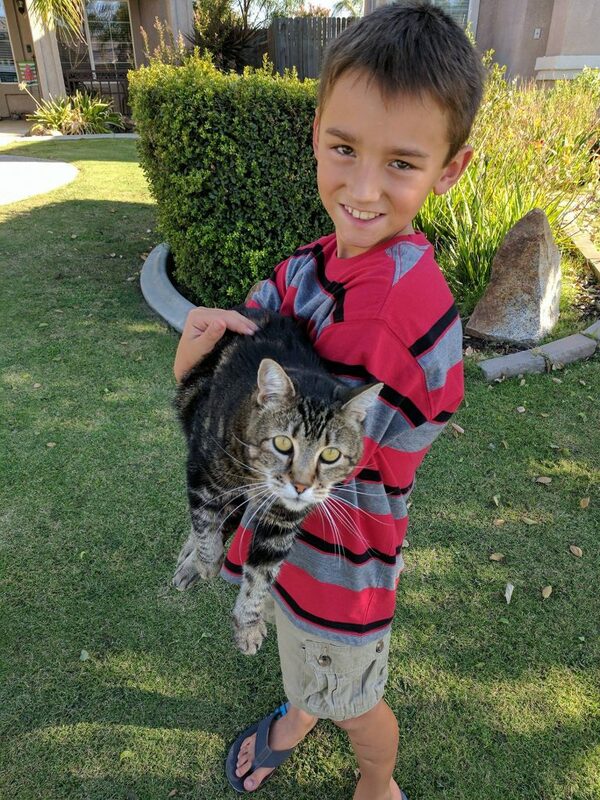 Such worthy praise for a cat that saved a boy being attacked by a dog! The young adult dog involved was surrendered by its owners to the local Animal Care Center. However, after the mandatory 10-day quarantine period for rabies, it was not put up for adoption. And, sadly, due to its “vicious” behavior, it was euthanized. It’s all thanks to dog hero Moe that a drowning man was saved. Because if it hadn’t been for a very alert Golden Retriever who was in the right place at the right time, and raised the alarm, this incident could easily have ended in tragedy. Just in case you haven’t seen it yet, a few weeks ago I launched a special section on this site about pet heroism. What you see here now is the second such article about the heroic actions of both dogs, and cats. And, we look forward to sharing with all of you, a lot more inspiring stories about our pets. So much more than simply furry companions, they are sentient beings with a greater purpose. 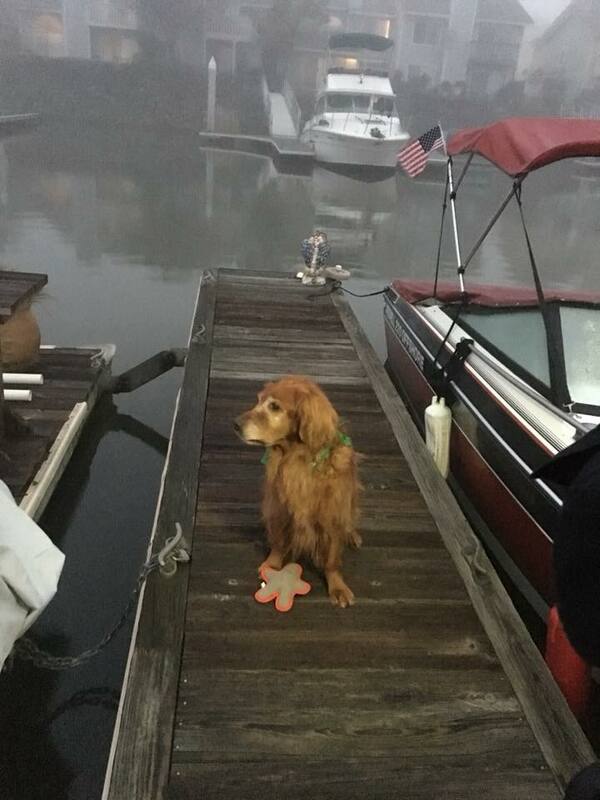 In January this year, an elderly man was taking an early morning stroll along a marina in Northern California. To be precise, the location was Pittsburg, which is some 40 miles northeast of San Francisco. However, his walk stopped abruptly when he slipped and fell into the water. Fortunately, though, Moe happened to see the incident and began barking profusely. At the time his owner was still asleep but the noise woke him up and he immediately knew that something was wrong. The “Golden’s” Dad rushed outside, saw the senior struggling in the water, and managed to help bring him to safety. Subsequently, the PPD published a Facebook post about what happened. They wanted to make sure that everyone in the area could read this great story with a happy ending. This article is just one example of the intelligence, loyalty and compassion that companion animals show towards other animals and humans. They are so very worthy of our admiration and respect. Stay tuned for more dog and cat hero stories in the coming weeks. From time to time I will now be adding to my blog an ongoing series of stories about pets that are true heroes. They illustrate the intelligence, loyalty and compassion that companion animals show towards other animals and humans that are worthy of our admiration and respect. Here is the first one. Enjoy! 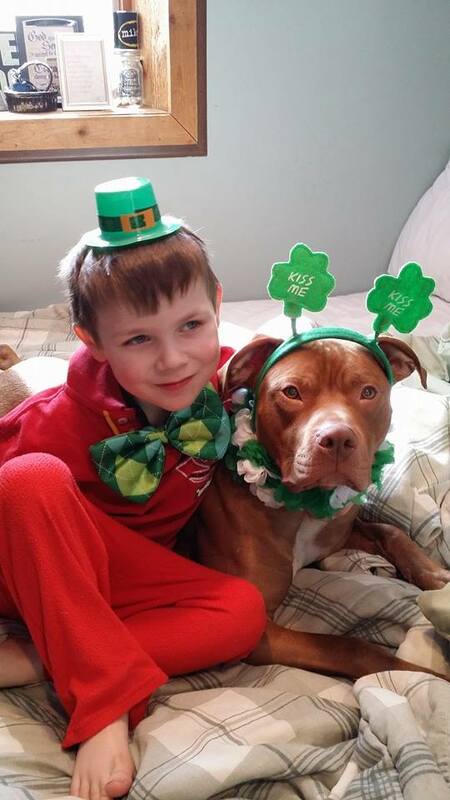 In 2013, TatorTot was a high-energy, pit bull puppy being held at a Minneapolis, MN, municipal pound. Just before he was scheduled to be put down, he was pulled by a local rescue organization and placed with a foster family to prepare him for eventual adoption. He had only been at the Smith household for four days when Christi’s four-year-old son, Peyton, suffered a severe low-glycemic episode while he was sleeping. At around 2 AM TatorTot was running around trying to alert the family that something was wrong. When Christi got up she found the pup on Peyton’s bed, barking, pawing him and licking his face, and her son unresponsive and barely breathing. She rushed him to the ER where he was successfully revived. If the boy hadn’t received medical attention in time, he could have had a seizure, gone into a coma, or simply not have survived. Medical-alert dogs generally undergo training but, instinctively, TatorTot knew what to do. 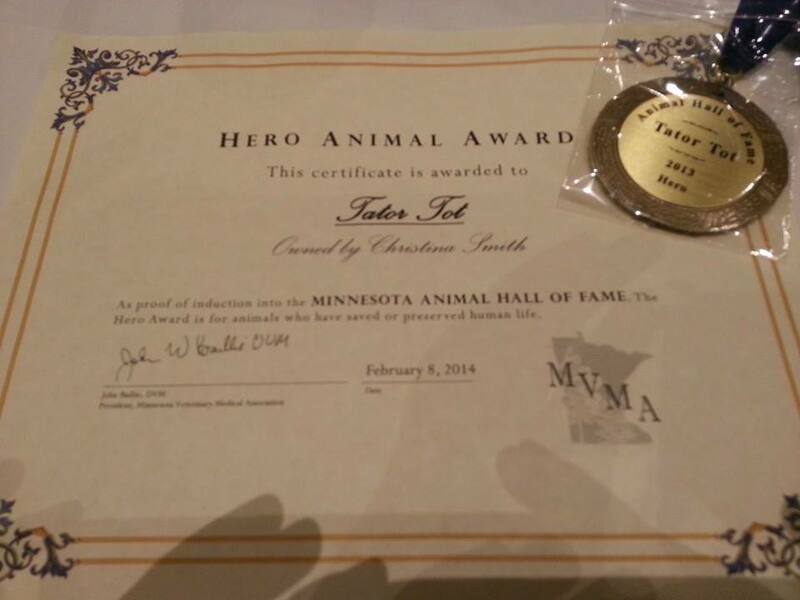 And, for his heroic action, he was given the PETA Heroic Dog award, a Minnesota Veterinary Medical Association Hero Award and the City of Brooklyn Park Mayor’s Good Canine Award. 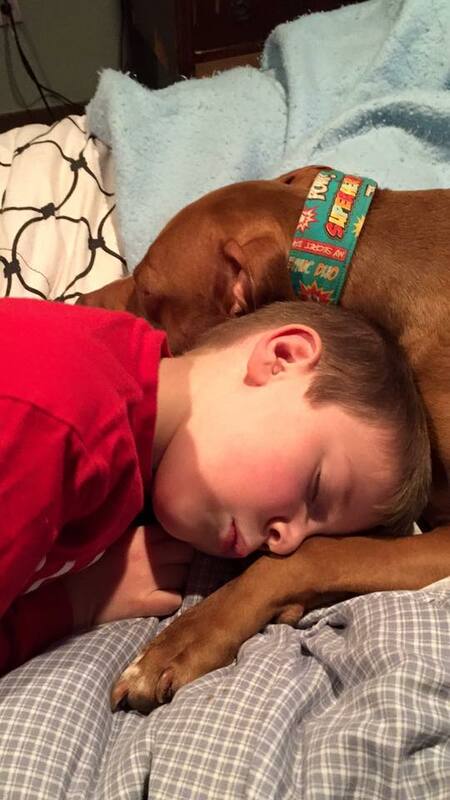 Until recently this amazing dog enjoyed a life filled with fun and adventure in his adopted home with the Smith family. Sadly, on May 1st 2017, aged four, he succumbed to lymphoma. However, he will forever be remember as a canine hero and an inspiration to all mankind. RIP, sweet TatorTot.